DO YOU HAVE WHAT IT TAKES TO BE OUR NEW PRAWNING MASTER? New categories added this year! 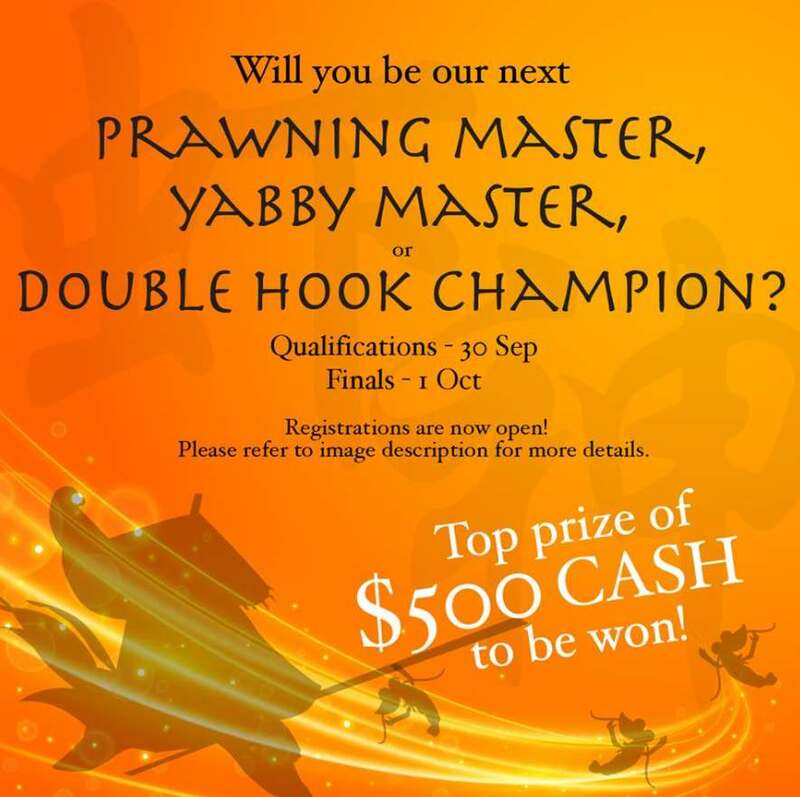 Clinch the title of YABBY MASTER and/or DOUBLE HOOK CHAMPION! Registrations have started at our Prawning Counter. Early bird pricing ends on 17 September, hurry up and register today! Please visit the following links for full competition details. Find out more at Prawning at ORTO.